Even though I have been going to Disney World for years, I have never experienced Character Dining at Disney until 4 weeks ago. To be honest, it was something my family could not afford when we were growing up. When my parents finally could, us kids were beyond the ‘Meet the Characters’ phase as we were then surly teenagers. 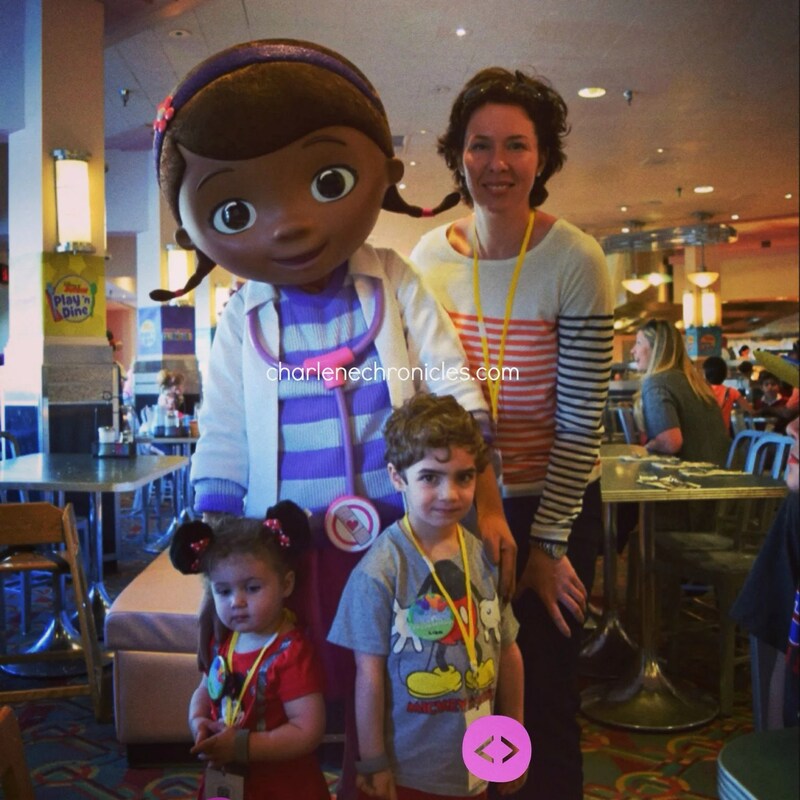 But as a Mom now myself, my Disney Character Dining focus was renewed when I saw how excited my kids were in meeting various Disney Characters in the parks. Yet, I thought to myself, is the cost worth experiencing? When I went down to Disney at part of a complimentary #DisneyKids trip, there were two Character Dining experiences in which we participated. One at the Crystal Palace in Magic Kingdom. The other at Hollywood & Vine restaurant in Disney’s Hollywood Studios. 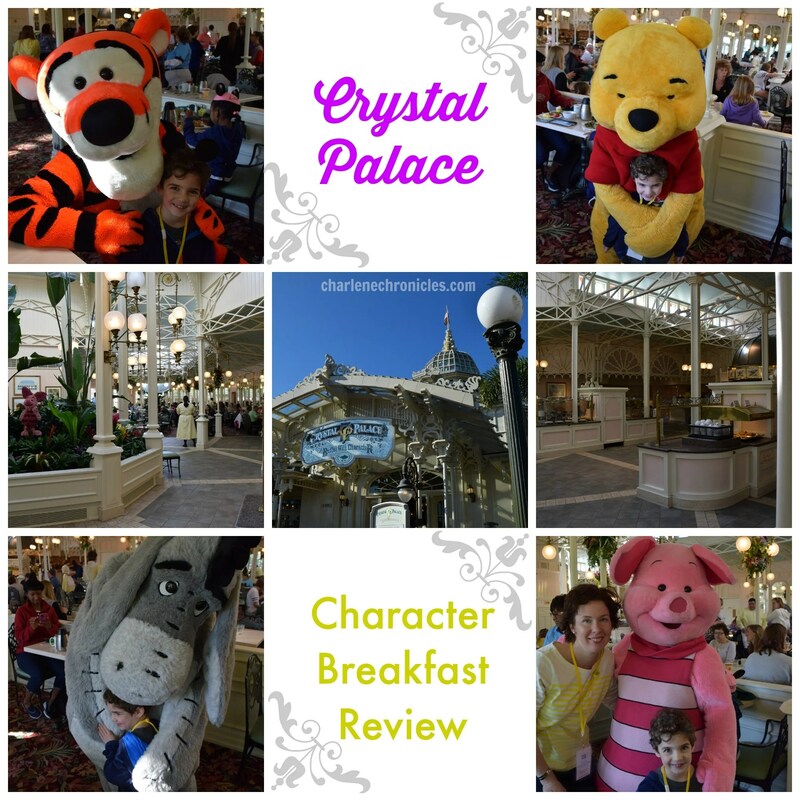 The Crystal Palace Character Buffet Breakfast we attended focused on Disney Characters Winnie the Pooh, Tiger, Eeyore and Piglet. 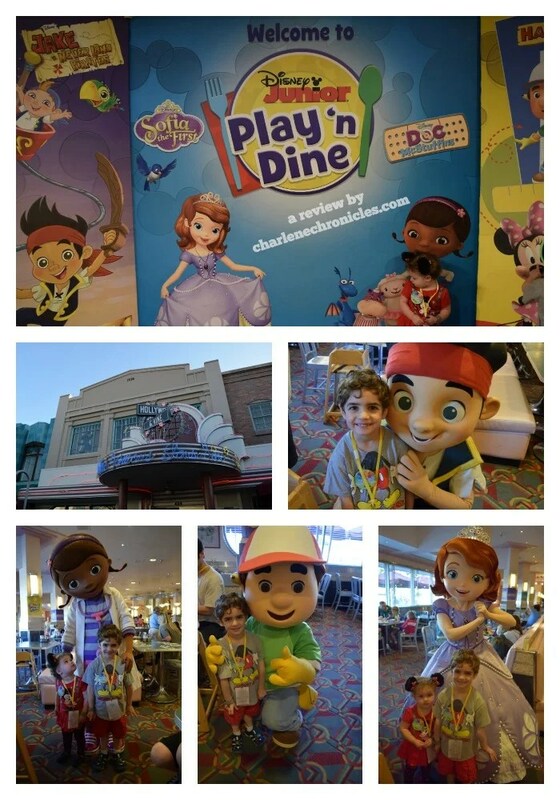 The Disney Junior Buffet Breakfast we went to focused on Disney Junior Characters Handy Mandy, Jake of the Neverland Pirates, Sofia the First and Doc McStuffins. The kids had a ball seeing each character and taking pictures with them. There are no professional photographers so all the photos are the ones you take. There is a ‘handler’ for each character who, when we asked, were helpful in taking photos of the whole family. The characters come to each table so there is no waiting in line! Does the Food Taste Good at Character Dining at Disney? To be truthful, I knew we would be gaining great memories, but I thought we would be sacrificing a good meal in the process. However, the food quality and taste was amazing. Truly amazing. Even my picky husband found the food to be delicious. Part of it is the fact that, even though it is buffet style, the serving dishes were small. Since you didn’t have those huge, cafeteria style, metal casserole dishes, the food was turned over quickly. So it was always hot and fresh. Yet, however they made the pancakes, croissants, scrambled eggs, etc., I don’t know, but they were sooooo good. I also loved the scones and baked goods. While everyone’s palate is different, we were really impressed with the food. We were also impressed with the service. There is a staff person who handles the drinks. On both occasions, they were quick and efficient and there was a lot of selection; coffee, hot chocolate, milk, chocolate milk, apple juice, orange juice, etc. I liked how the brought a whole carafe of coffee. I could keep refilling my cup with hot coffee! (Bliss!) The kids also got a kids cup with a straw and a lid. The only negative I found about the whole experience is that having the characters coming to the table was a blessing and curse. It seemed like we had a bite or two of our meal and then we had to get the kids out of the high chairs and boosters and take a picture. Then we had to get them settled back in, and 5-10 minutes later, had to do it all over again. Or my husband wanted to go back through the buffet again, but Piglet was coming, so he had to wait, etc. And then we had to make sure the kids were willing to get back into their seats and not run around. If you have younger kids, you know what I mean. You give them their freedom once…..
My husband and I loved the food and we wished we could have enjoyed it more, but the up and down was, well, inconvenient. I’m not sure how I would do it differently. Perhaps taking pictures as you enter the restaurant? Since everyone has reservation times, the flow would be good and lines not too long. Then you can get it out of the way and enjoy the food. Or maybe the characters can travel closer together so in a 5 minutes time frame you can see 3/4 characters rapidly. Or maybe you’re giving a card that tells you the 15 minute window that all the characters will be coming to your table? So if you have a family of four (two adults, two kids), going to a character breakfast probably will cost you about $100 though prices vary at the different Character Dining locations, and the price goes up for lunch and dinner. But to keep it real, we can easily drop $40 on a local burger place near our house, so it is not too bad considering. Plus, even buying breakfast at a quick service restaurant in the Disney Hotel will cost you about $40-$50 during your vacation, and you won’t be getting an all-you-can eat buffet. Furthermore, an-all-you-can-eat breakfast buffet may negate the need for lunch, saving you some money. You may be able to get away with a mid-day snack and them have a hearty dinner again. Is Character Dining at Disney Worth It? Yes. If your kids love the Disney Characters, you can see a lot of them at once and it gives you less of a worry about standing in long lines, for a long time, in the sun in the Parks! Most younger kids can’t last that long! If you go to a Disney Character Breakfast, you can just focus on the rides and other experiences! Furthermore, kids under 3 eat for free, so when the kids are younger, it really makes sense to enjoy the experience if they are over two, but under three since they will get a kick out of the characters, may be old enough to remember and enjoy the experience. So, the cost is less, they get more out of it, and it minimizes frustration and time if you otherwise had to stand in line (and find where they are) for each character. Just make sure that they won’t be frightened by the characters. Make your Character Dining reservation for later in your stay. Then try meeting a costumed character early in your stay for a test run. Make sure to meet the characters in full costume (like Mickey or Eeyore who have, errr, faux heads) as well as Cinderella or Snow White who are, err, human beings. (I’m sure there are more technical names for the types of costumes!) There is a difference in appearance so make sure the kids are comfortable with them all! If not, you can then cancel your reservation. Just do it 24 hours in advance to avoid the $10 cancellation fee. One last tip. Make your reservations early! They do fill up quickly, and check around at the Character Dining options. Each restaurant focuses on a different ‘group’ of Disney Characters so you may want to focus on ones that your kids are most interested in, or plan a couple of Character dining experiences to see a lot of characters! We love Character dining! We do at least one per trip. Our favorite is the Tusker House breakfast! I like your advice about booking the character breakfast toward the end of the stay once the kids are more comfortable with the characters. It can still be hit or miss with my son. Thanks for the tip and looking forward to our first trip!! I’m having fun looking around your blog! 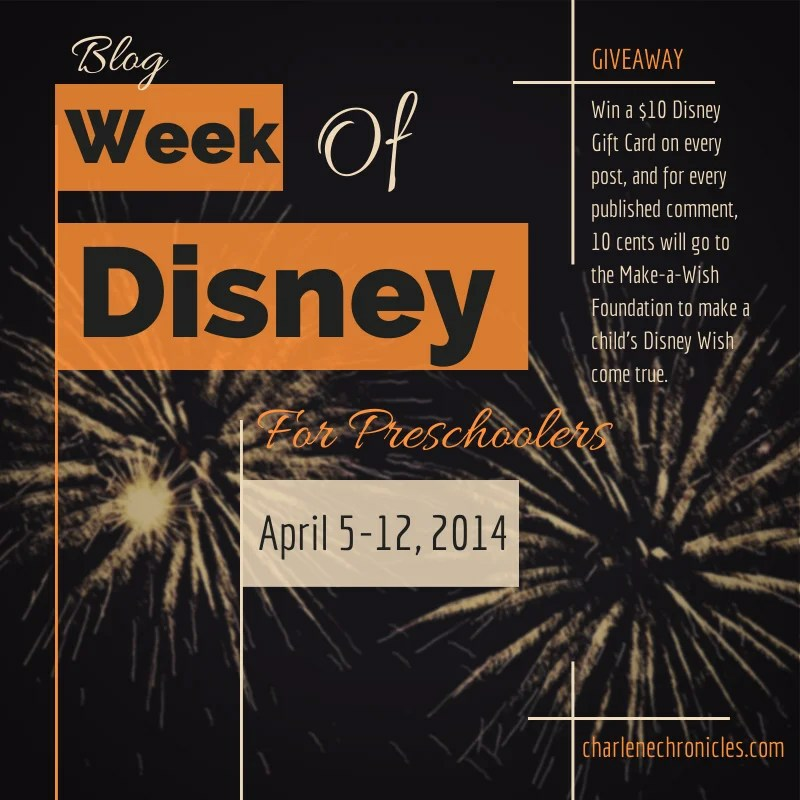 I’ll be seeing you at disneysmmoms real soon! We enjoyed Tusker House. Next time we’ll be stopping at Chef Mickey for their character breakfast. 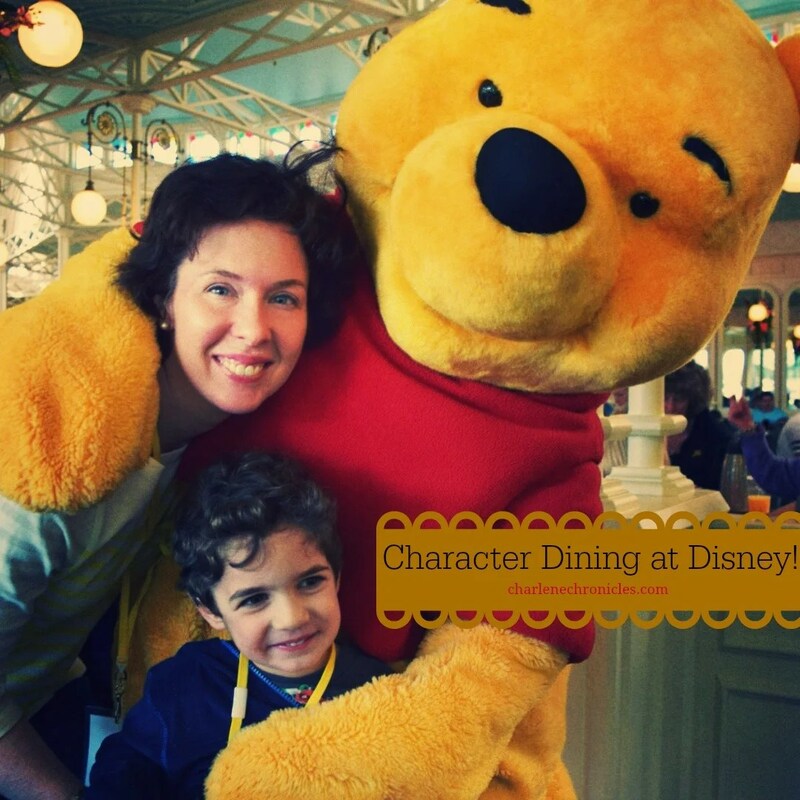 We love character dining, and breakfast is a great option since there’s less risk of an afternoon or evening meltdown. Everyone is a little more rested. I also like breakfast because I think the kids get off to a good nutritional start- which is surely negated throughout the day, but I feel better knowing they got some fruit, yogurt, and a protein before we head to the parks for the day. I have always wanted to do this breakfast. When we go back this is on the top of my list! We did the Princess breakfast in Epcot last time – thinking about Chef Mickey for the next one. Princess breakfast was fantastic – as you mentioned the food was really good. I feel like the pace was perfect there, I didn’t feel like it was constantly up and down. Maybe they have a different timing system. I totally agree that the character dining would be worth the price. We haven’t been to Disney yet… but we would definitely spend the extra (at least for one meal) to do this. It’s probably one of the main things your kids will remember about their wonderful trip 🙂 Good to hear the food was good too! We’ve never done this, but I’m sure my kids would absolutely LOVE it.